On these facts, the costs within OVDI are: (i) income tax (assume the 25% rate) of just over $25,000 plus 20% penalty plus interest on both the tax and penalty from the due date of the respective returns; and (ii) "in lieu of" penalty of $375,000 (no interest). 1. I ask the question whether, on the client's unique facts considered in the context of the Government's criminal tax enforcement system, the client is at material risk of criminal prosecution? Those who watch the criminal tax enforcement system know that DOJ Tax prosecutes only cases of material misconduct. I cannot develop the basis for this observation in the confines of this blog, but experienced criminal tax practitioners understand the concept and deal with it regularly in their practices, in all areas including the foreign financial account area. The fuzz word here is the word "material;" a client not at material risk is not the same as a client at no risk, so clients for whom this question is even relevant must be willing to assume some risk; the only guaranteed result is to get in OVDI and stay in it. And, it is important to understand that, even with foreign financial accounts which are subject to the FBAR regime outside the Internal Revenue Code, the criminal tax enforcement system will substantially govern prosecution unless there is some other priority such as drug dealing, FCPA, embezzling public resources, etc. For the use of foreign financial accounts where the only material (that word again) footfault relates to taxes, the criminal tax enforcement system and its priorities will govern whether the taxpayer is subject to material risk of criminal prosecution. So, if the client is at material risk of prosecution in the Government's criminal tax enforcement system, OVDI is the easy choice and probably the only rational choice other than the ostrich approach of hoping the Government (DOJ Tax or IRS) will not discover the past problems. But if the client is not at material risk of criminal prosecution, OVDI is not the obvious choice or, if OVDI is chosen to eliminate even the immaterial risk of criminal prosecution, staying in OVDI for the civil penalties is not the obvious choice. In my facts, based on the key final assumption, the taxpayer is not at material risk of criminal prosecution. 2. I then ask whether, on the client's unique facts, the Government can prove by clear and convincing evidence that the client intentionally violated a known legal duty (either a tax reporting and paying duty and/or the FBAR duty)? Even this is subtle, because if the taxpayer only violated the FBAR duty, the taxpayer can get a pass on the FBARFBAR. For my previous blogs: Government Fails to Prove Willfulness in FBAR Civil Case (9/2/10); see also for the Government's view of the willfulness requirement, Government Pursues FBAR Penalty in Civil Case (10/31/10). This is not an exercise for the fainthearted or uncounseled. And, as noted this is not an exercise for anyone without some tolerance for risk. The risk averse should get into the OVDI and be done with it, perhaps with the thought of later opting out if further developments so indicate. Again, on the facts I posit, there is no material risk that the Government can prove intentional violation of a known legal duty) under any standard. 3. For a client who has passed both of these tests (no material risk of criminal prosecution and no material risk of a finding by clear and convincing evidence of a violation of a known legal duty), I then attempt to develop the costs and risks if the taxpayer either does nothing or gets into OVDI and opts out. On the facts assumed, the income taxes (and resulting interest) are substantially less than in the program, because the IRS will only be able to get 3 years from the date of the notice of deficiency or, if earlier, a consent to extend the statute of limitations. The accuracy related penalty will be no more on those limited years and might be less. (The taxpayer might file amended returns for the back years and claim the qualified amended return waiver of penalties altogether, but that is another blog.) So, a client might be comfortable that there is no material risk that the income tax, penalties and interest will exceed the amount offered under the OVDI and, indeed, comfortable that it is likely that they will be materially less (keep in mind no interest on the earlier years that drop off). And, there is no "in lieu" of penalty that will apply, but instead, the FBAR penalty might apply. But the draconian willfulness FBAR penalty will not apply under the facts posited, so the maximum penalty will be $10,000 for each open year when the FBAR penalty is asserted. At a maximum that will be 6 years assuming the IRS acts immediately or gets a consent (as demanded in OVDI). So the maximum penalty outside the OVDI penalty regime is substantially less than inside the OVDI penalty regime. And, depending on the facts and the IRS's fair administration of the FBAR penalty regime during any audit (either opting out of OVDI or being audited without ever joining OVDI), then the penalty may be less than $10,000 per year. 4. And, to close the loop on all this, given the IRS's design of the OVDI, the IRS has incentivized a taxpayer in the profile of my example to not join OVDI. He or she can stay out of OVDI and take the risk of audit. The taxpayer may never be discovered or, if discovered, audited. In that case, the taxpayer wins a form of the audit lottery, a lottery that is a built in feature of the IRS's design of OVDI. But, if the taxpayer is discovered and audited, his or her costs are still less than demanded in OVDI and the same if he or she had joined OVDI and opted out. If the OVDI penalty is the bar, staying out of OVDI is win-win for the taxpayer. I again cautioned readers who are not tax professionals that the foregoing assumes competent advice at each step of the process by a tax professional. The downside risks are too great not to have competent advice -- i.e., the risks are criminal prosecution and even more onerous FBAR penalties than available inside OVDI. Great post Jack. I think people with multiple smaller accounts (like immigrants/citizens abroad who have lots of accounts back home with employers, family etc) are at an advantage if they join OVDI. Great analysis of the issues I currently face- but I have some questions for you. 1. A requirement of the OVDI is to sign the CONSENT TO EXTEND THE TIME TO ASSESS CIVIL PENALTIES PROVIDED BY 31 U.S.C. § 5321 FOR FBAR VIOLATIONS. If you opt out of OVDI, does the IRS lose the ability to tax you prior to 2007? 2. If 100% of the assets were inherited, and a form 3520 was not filled out (due to lack of knowledge), what are the possible penalties of opting out of the OVDI? Jack, excellent analysis. How would this change for someone with multiple offshore accounts and with a portion of them fully compliant (tax and FBAR)? The amount of tax due is less than 25% of annual tax paid and money in the non compliant account is funded with post tax US funds. One key question is whether the IRS would use the willful penalty as a club to assert a penalty higher than the maximum non-willful penalty (but still lower than the willful penalty). Even if they could not prove it by clear and convincing evidence, the possibility that they might seek to assert it could be an issue. "How would this change for someone with multiple offshore accounts and with a portion of them fully compliant (tax and FBAR)?" 2) The accounts that were not disclosed were small, inactive accounts that could have been forgotten. If either 1) or 2) hold on the other hand, I think the situation would reverse in that it would become easier for the taxpayer to make a reasonable cause argument. Your question assumes that the IRS will punitively apply or at least threaten the willful penalty where it cannot meet the predicates of its application. That is always the case, but my experience is that the IRS does not do that generally and certainly that was not Congress' intent in enacting the FBAR penalties. Let's use a nonFBAR example. In many audits, the IRS could threaten the civil fraud penalty to obtain taxpayer concessions on the merits or on the accuracy related penalty, but my experience is that the IRS does not do that generally. The key word is generally. I have experienced the IRS asserting the civil fraud penalty where, in my view, it could not possibly sustain the civil fraud penalty on the facts it used to assert the penalty. In most cases, I think this resulted from an inexperience agent or manager's view of what is necessary to sustain the civil fraud penalty -- clear and convincing evidence of intentional violation of a known legal duty. And I have found that the matter can then get resolved relatively efficiently in appeals. But, if the agents do that, I would have that cooler and more experience heads (managers or appeals personnel) will back off extortionary threats of the willful penalty. Perhaps this is wishful thinking, but I do think that systemically the IRS is trying to do the right thing and the right thing is not to use penalties as extortionary tools. My non-compliant accounts were operated by parents with power of attorney. If IRS were to exert willful penalty, would it be 50% of the high balance each year or on only one year that had the highest aggregate balance? Even if TAS does not deal with FBAR issue, OVDI FBAR penalty that is hihgly related to tax noncompliance can be still a good case to submit to TAS. Excellent analysis. I wasn't thinking so much of punitive application of the penalty so much as cases where an examiner or fraud technical advisor believes there was willfulness, but may not think there is 'clear and convincing evidence' for a civil penalty. A good example may be if someone did not check the Schedule B question asking about foreign accounts (and obviously did not report income), and did not have an explanation. You mentioned the William case in previous blogs which ruled that is not evidence of willfulness by itself (but also pointed out the unique circumstances of that case). But this could lead even a reasonable agent to suggest the willful penalty might be applicable. "Even this is subtle, because if the taxpayer only violated the FBAR duty, the taxpayer can get a pass on the FBARFBAR"
Did you intend to say that the taxpayer could get a pass on the tax duty if he/she only violated the FBAR duty ? 1) I am not exactly sure what it means to apply for OVDI but "opt out". Does this mean you disclose all under the full OVDI procedure but some how waive the right to the reduced penalty in order preserve the right to argue that the failure was "not willful"? How do you accomplish this? 2) Am I correct to assume that you amend your income tax returns regardless of whether or not you utilize OVDI? 3) Are you saying the IRS's burden of proof with respect to willfulness is "clear and convencing evidence"? Many Thanks for posting this follow up article on OVDI or not to OVDI. While I fully understand this is discussion only, not legal advice, it helps to hear different viewpoints on this topic. One question.. for offshore accounts, is a voluntary disclosure outside OVDI a possible option at this time. Or are the options: OVDI and opt out OR VD after OVDI close on Aug 31. I assume you are asking whether a quiet disclosure outside OVDI is possible. Reason: a noisy disclosure will force you into OVDI. And, from anecdotal reports, (i) IRS is watching for quiet disclosures and (ii) forcing them into OVDI. What will happen after 8/31/11 is speculation. I speculate, however, that there will be the traditional VD program and offshore account holders making noisy VDs will be forced accepted in the VD program but will be forced into the OVDI processing (administratively it works for IRS), perhaps with higher than 25% in lieu of penalties and perhaps even with higher than 20% income tax penalty. For those attempting quiet VDs after 8/31/11, I speculate that the IRS will be looking for them in the service center (fairly easy to pick up amended returns reporting foreign financial account income and delinquent FBARs), and force the same process. Finally, the point of the blog was that there is yet another option. Do nothing, get right going forward and dealing with an audit when and if it comes. This option applies only to persons with the right profile, a determination that can only be made with professional assistance. Can you please comment if the willful penalty will be exerted at 50% for the balance in the highest year or 50% of the balance every year/every account of non-compliance? It looks like I must break this up into two answers, so I will answer the first two first. 2. If the taxpayer does not get into OVDI, then the option I most prominently discuss in the blog is to do nothing, get right on a go-forward basis and respond only when and if the IRS audits. As I just said in responding to another comment, however, this option applies only to persons with the right profile, a determination that can only be made with professional assistance. 3. I believe that the clear and convincing standard should apply to the willfulness FBAR penalty. I do note that, in pouring the Government out on a willfulness claim, the court in United States v. Williams, 2010 U.S. Dist. LEXIS 90794 (ED VA 2010) applied a "preponderance of the evidence" standard. The court did not discuss why it applied this standard, but since it dumped the Government, it really made no difference to the resolution of the case whether it applied a "preponderance of the evidence" or a "clear and convincing" standard. The burden of proof for criminal cases for establishing willfulness is to provide proof "beyond a reasonable doubt." Although the same definition for willfulness applies ("a voluntary intentional violation of a known legal duty"), the Service would have a lesser burden of proof to meet with respect to the civil FBAR penalty than the criminal penalty. We expect that a court will find the burden in civil FBAR cases to be that of providing "clear and convincing evidence," rather than merely a "preponderance of the evidence." The clear and convincing evidence standard is the same burden the Service must meet with respect to civil tax fraud cases where the Service also has to show the intent of the taxpayer at the time of the violation. Courts have traditionally applied the clear and convincing standard with respect to fraud cases in general, not just to tax fraud cases, because, just as it is difficult to show intent, it is also difficult to show a lack of intent. The higher standard of clear and convincing evidence offers some protection for an individual who may be wrongly accused of fraud. The burden of proof the Service has with respect to civil tax fraud penalties represents an exception to the general presumption of correctness that the courts have afforded to tax assessments (where the taxpayer, who is in the best position to provide supporting documentation, would ordinarily have the burden to show that taxes and tax penalties assessed are incorrect). There is a presumption of correctness in tax cases because the courts recognize the importance of the government's ability to efficiently collect taxes, which are "the life-blood of government." Because the FBAR penalty is not a tax or a tax penalty, the presumption of correctness with respect to tax assessments would not apply to an FBAR penalty assessment for a willful violation--another reason we believe that the Service will need to meet the higher standard of clear and convincing evidence. While it may be that amendments to the statute may mean that, for the nonwillful FBAR penalties, a different burden applies, I think this analysis for the willfulness penalty would apply. I would appreciate, however, the views of other readers who have thought about and researched the issue. Thanks for commenting on the blog. You asked about the 50% willfulness penalty. In the context of the blog, I assume you are asking how the IRS will assert it on audit (either an audit without joining OVDI or an audit on opting out of OVDI). I don't know. I do think one might infer that, if the criminal cases are any indication of how the Government (IRS / Treasury) applies the penalty in really bad cases, the willfulness penalty will not exceed 50% of the highest amount in the highest year. But, that is an inference. You should seek independent counsel as to whether that is good inference for your situation. I am not sure that filing delinquent FBARs is the only way to support an argument for nonwilfulness. The FBAR penalty applies immediately after the due date (6/30 respectively, so that the penalty applies on 7/1). Filing a delinquent FBAR does not mean that the nonfiler / filer did not have the requisite mens rea (willfulness) when he or she failed to file. Moreover, the issue is similar to the one faced with fraudulent returns and delinquent returns -- the crime, if any, is committed when the fraudulent return is filed or the unfiled return due date passes. Filing a subsequent amended return or delinquent original return does not technically cleanse the original crime, although it may mitigate the crime substantially. But filing the amended return or delinquent return does establish elements of the crime that the Government would otherwise have to prove beyond a reasonable doubt. Accordingly, if you file a delinquent FBAR, you have just admitted that (i) you were required to file one and (ii) the amounts involved. Whether it is a wise idea to try to mitigate, not the crime, but the Government's incentive to prosecute the crime is a decision to made only with the advice of competent counsel. I would appreciate if you could provide some feedback on what could be the worst consequences in the following case in the event of an IRS audit. (1) Tax payers (husband and wife) have several joint accounts for many years with the aggregate highest balance close to 100K. The total tax liability would be less than 15K for all 8 years. (2) Tax payers have been fully compliant to all US income. The total foreign interest income is not more than 5% of US gross income. (3) The balance in foreign accounts was from salaries from before coming to US. The second question I have is what if I decide to gift all that money to my parents or close relatives so at least I will have a clean record going forward with no requirement for filing FBAR and including interest income. Would that anyhow infer that my non-compliance in the past was willful? Thanks for the lot of good info on the blog and appreciate your/others opinion. On the lighter note, for the first time in my life, having money is giving me lot of stress. 1. I recommend that you see a competent tax professional. If you will email me with your area of the country, I will try to recommend one or more that I have confidence in. 2. One way to solve the problem going forward is to eliminate the foreign bank accounts -- whether by gifting them or by bringing the proceeds into the U.S. (wire transfer preferably). In either event, close the foreign accounts. Keep in mind that you will still have 2011 requirements (income tax and FBAR). You should comply for 2011. You would still have reporting requirements for FBARs for 2011, and income tax and gift tax filing requirements (> 13k). It need hardly be added that a gift would have to be a genuine gift, not a sham transaction. The IRS may well assert that such a gift is a related party transaction, and that you retain beneficial control. Also, your parents may get some unwelcome attention from tax authorities in their home country. Even if the country has no gift tax, some countries examine remittances from abroad. (not traditional tax havens certainly, but I'm assuming this is not one). I did read on a tax professionals blog about a 120% penalty (I presume it was a civil penalty) asserted against a CPA's client (20% per year). Very good analysis of the issue. I appreciate your effort for sharing your thoughts. Due to significantly smaller size of foreign account than your example, I do have questions regarding FBAR penalty to do the analytic assessment of "to OVDI or not"
1.Does IRS follows the mitigation guidelines (IRM 4.26.16.4) outside the OVDI program? 2. In assessment of penalty/mitigation guidelines, Does it make any difference between OPT out, quiet disclosure or audit for filings going forward ? Thanks Jack and others for your time on comments. Appreciate it lot. (1) If I choose to wire transfer the proceeds to US bank, wouldn't that trigger an alert or audit or something that can come under investigation. (2) After closing the bank accounts, I will file FBAR for 2011 and include interest income too but again wouldn't that trigger IRS to look back and audit my case? Jack, can you comment on what sort of document will revenue agent look for when removing duplication of accounts (faq 37). Specially, when an account is closed and money is moved to a different bank. Also a new account that is opened at Bank A by transferring money from Bank B. Will statements showing debit of amount X from Bank A and at same day showing credit of amount X at Bank B be good enough proof that it is same money ? Great Blog. Keep up the good work !! I had a question about duplication removal as well. Say one has $60k in account A and he moves that $60k in account B some time during the year. Now highest aggregate balance for that year is $120 (since there were two accounts with balance of $60k during the year, even though they were same money at different times). The question is, what do you think is the penalty percentage ? 12.5% or 25% ? In other words, should we remove duplication before deciding penalty bracket ? I will really appreciate your thoughts on this. The IRS says that duplications can be removed. OVDI 2011 FAQ 37. So, with duplication removed, provided the amount without the duplication is less than $75,000, the penalty amount will be 12.5% under OVDI 2011 FAQ 53. 1)Early indications are the IRS will follow the letter of the IRM manual for mitigation. However, there will probably be little discretion. And penalties will likely be assessed on a per-violation (i.e. per account, per year basis), essentially negating the impact of most mitigation for multiple account, multiple year cases. 2) I would assume that the penalties could/would be more severe in the case of discovery during audit. The Commissioner apparently insisted that the penalties under OVDI 2011 be more severe than those under OVDP 2009 so that people would not be 'rewarded' for holding out. With that sort of 'moralistic' attitude, its reasonable to conclude that audit penalties would be higher still. Oh, and I forgot to add. Under the mitigation guidelines, duplications/transfers will not be removed. So the letter of the manual would be followed, but the general spirit (which seems to be to allow lower penalties except in egregious situations) would likely not be followed. The IRS likely feels that the world has changed a lot since 2008, which is when this was issued. Now, with multiple offshore banks disgorging their secrets, the IRS likely feels that it doesn't need the velvet glove to induce people to disclose, it has a mailed fist. It would probably be a good idea to take Jack's advice and consult a professional. A public blog is hardly the place to post details of your situation. But in response to your other question, I would be surprised if the IRS did not pay more attention to first time FBAR filings, first time Schedule B reporting of foreign accounts. Next year, there is also the new form 8938 to consider. That form requires reports on foreign accounts, as well as details on whether the account was opened or closed during that tax year. The taxpayer will have to produce persuasive evidence of the duplication. Your tax adviser should be able to cover that with you in your particular circumstances. However, generally, I transfers from one account to another in the same bank have a clear paper trail and wire transfers from one bank to another have a clear paper trail. Even less direct transfers which are persuasive should work. However, I have not yet had to test the limits of persuasion on remote transfers and can offer no specific guidance. The IRS's claim is that, in the opt-out audit, it is applying the traditional audit which, if true, means the same standard should apply whether the audit is via opt out or otherwise. We will shortly have some anecdotal experience as to what is actually occuring in both OVDI/OVDP opt outs and in audits (presumably the IRS is identifying persons who did not get into either program; indeed, I am handling such a case, but we are only at the early stages). You mention about IRS auditing persons who have not entered either program. On your site you have a great spreadsheet of the IRS' prosecutions. Is there something similar for audits too that you may be able to post. Or do you have any insight into what criteria might be triggering audits. That maybe very relevant in the analysis on this blog.. I may consider a spreadsheet for audit results. The problem with audit results is that I won't know unless they end up in litigation (which will be years from now) or others share the results with me or they otherwise get out in the public domain. So, unless enough audit results become known (i.e., unless I get a good representative data set), it may be very difficult to draw conclusions about the audit program. We'll see and, if I think something meaningful can be developed, I will do it. I do caution, that the IRS has not completed any audits -- certainly not any opt out audits -- during the current offshore account initiatives. Indeed, we know that the IRS is at the early stages of considering opt outs. So it will be a while before even some anecdotal results come out. I tell my people submitting the package now that the IRS likely will not get around to their package and thus make them decide whether to stay in or opt out for months. So they will likely have at least some anecdotal evidence of what the IRS is doing on opt out audits by the time they have to make the decision. Could you please recommend one or more competent tax professionals (lawyers) that you have confidence in in the following areas: Hamilton/Toronto, ON Canada, Buffalo/Niagara Falls, NY and Boston area, MA USA? You will have to email me and I will respond with the attorneys I know in that area. Then, What is the advantage to taxpayers who agree to pay 5 additional year than allowed by statue and provide all information for 8 years? May be they will also force other taxpayer (quite disclosure/disclosing in future) to pay back taxes from 2003 !!! b) not file an FBAR and not declare their accounts even for 2011 and thereby now knowingly break the law. With the new 8938 form mentioned above, this may now be breaking multiple laws. So definitely requires a risk appetite , as you mentioned at the very onset, Jack. Option b) is not an option. If you proceed on a go forward basis, the better part of wisdom (in my view) is to do it right from this day forward and not to wait a year or two before doing so. Waiting a year or two, particular if coupled with other actions even seemingly innocent ones, could conceivably be a separate crime or even refresh statutes of limitations that were already closed. Jack - under the opt out provisions is the $10k penalty per account imposed on certificates of deposit that are rolled over e.g. the Webinar conducted by IRS would lead you to believe that even if a new account number is issued for a CD that is renewed (rolled over) there is only once account reporting obligation on FBAR i.e. CD with a bank. This would lead you to believe that the per account penalty should apply for 1 CD account instead of two especially if the CD is rolled over with new acount number issued each time. What are your views? I don't have the answer to your question. I hope some other reader has encountered and resolved this issue and will share the answer. If we have a joint account, can I claim that all the money should be added to my gross for penalty calculation or will my wife have to take some portion in her gross - I am trying to minimize the net effective gross over 8 years - any hints will be appreciated. John - Nice article. Insightful. What is your opinion if someone decided not to enter OVDI but was discovered during audit ? Can he/she be forced into OVDI or will other penalties apply like in a regular audit? What if discovery or audit happens after the deadline, then what will be position of the auditors ? can they legally force the OVDI penalties later ? Hi all, does any one know whether your spouse needs to sign the OVDI letter & pre-clearance form even if she was not involved in an offshore account? We had filed joint income tax returns in US. Pls advise whether spouse will also need to enter the OVDI program even if she didn't own any foreign account. I understand that those attempting quiet disclosures who are caught are being "invited" into the OVDI program. I don't know what will happen to "quiet" voluntary disclosures after the program ends. Now as to those the IRS discovers who did not do quiet disclosures and attempted to try the audit lottery, I think the IRS will audit them. Indeed, the IRS may try to force them into the procedures established under OVDI and then, perhaps, hit them with higher penalties than might have applied had they either joined OVDI or did a quiet disclosure. On the other hand, if the IRS is correct that opting out of OVDI subjects them to the regular audit, then it would seem to me that, for taxpayers who are not willful, they are still no worse off (at least if the number of accounts does not push their nonwillful $10,000 penalty above what they could have gotten in the program). For cases outside the program (Opt out, Audit for quite disclosure or future filings), is the FBAR penalty assessed for 1 year or for all 6 years ? May be it is 6 years as per the OVDI FAQ examples but the reason I ask this question is, IRS might have assessed 50% of maximum balance for only 1 year in high profile cases(with some element of fraud). Back in 1992 He got a Green card. He then asked for a permit to stay in his home country so he could wrap up his business. Come 1994. He decided not to move to the United States. He did nothing with his green card, other then keep it in a drawer in his office. What would his status be in all of this mess. I did read on a tax professionals board that someone was assessed a 120% penalty (20% * 6) for 6 years of FBAR violations. However, I don't know if there were other considerations that the examiner might have taken into consideration (accounts established with untaxed money), for instance. Do you see that friend every morning when you look in the mirror? Seriously though, it sounds like your friend is a green card holder thus may have issues. You should tell your friend to talk to a practioner with experience on these matters. It depends on status as a U.S. tax person as well as on your friends particular tax reporting requirements. Tell your friend to consult with a practioner experienced in these matters (wink,wink). Hi Jack, I'm working in US on work visa which is due to expire on 2013 unless extension is approved. I had an account before coming to US plus I opened few (including CD's) after coming to US. All these accounts are non-repatriable i.e. cannot bring money back to US. My intention was clear that I've to go back and send my savings there. Wasn't aware of these rules until a week back. The interest these accounts yield is taxed in India already. In US returns due to ignorance did not do FBAR nor showed this interest income. Now getting into OVDI and paying 25% penalty seems my 2-3 years of US savings will be wiped. It was a honest ignorance mistake. What do u propose? if you plan to stay after 2013 or if you want to apply for green card, then you should join OVDI to make it clean. otherwise, you may just do it quiet, and hope IRS won't bother you. even if it comes to audit you, it is not likely you will face criminal prosecution (due to your hnoest mistake and ignorance), if the civil penalty is too harsh, you just take off (bye-bye IRS).. still you already have paid your due (tax plus interests) -- what else you owe this country ? i am not a pro, but I would have done just like that if I were you. "if you plan to stay after 2013 or if you want to apply for green card, then you should join OVDI to make it clean." Disagree. In effect this would be like paying all your US savings over the past three years for a green card. It's nowhere near worth that. Moreover, if you do this you will resent the US for the rest of your time in the country. If you don't already, that is. Here's what I would do. Redirect mail from my foreign accounts to friends or family in India, and not touch them again (assuming they're not HSBC accounts). Quietly wait out the next two years, operating in the same way as for the previous three and fully compliant with all other US taxes. And leave on schedule or before. Yes, this runs counter to the letter of the law, but then this asinine law runs counter to common sense. Because of Indian taxes on these accounts the actual tax loss to the US will likely be nothing, so there is no moral justification whatsoever for the US to take 25% or more of money you earned before you even set foot in the US. To join the OVDI in your case is to voluntarily participate in government-sanctioned extortion. I am not a lawyer, your mileage may vary,... and so on. I propose that you see a lawyer who is knowledgeable about OVDI. If you will email me your location, I will send you at least one name of a competent lawyer nearby. My email address in jack@tjtaxlaw.com. "in effect this would be like paying all your US savings over the past three years for a green card. It's nowhere near worth that." Well, the OP can decide for himself/herself about that, but for many people, the Green Card IS could well be worth that amount financially, given that salaries in the US are (at least for now) far higher than those in India. "Because of Indian taxes on these accounts the actual tax loss to the US will likely be nothing"
This is likely incorrect too, because Indian taxes were likely withheld, but were probably not due because of low India source income (i.e. they would have been rebated if OP had filed a return). In that case, no foreign credit is available, so US taxes are due. But yes, if OP plans to go back for good, just complying going forward is fine. Great article, Jack, very helpful. I've got 2 questions that I would love your thoughts on. 1) Is the FBAR penalty applied separately to each account for each year OR just once for a given tax year (where one or more accounts were not reported)? Looking at the law, I can see how it could be interpreted either way. 2) The opt out timing perplexes me. I represent a taxpayer who has started the OVDI process but who has not submitted the full voluntary disclosure package (including the SOL extension form). If that taxpayer concludes that he/she is better off outside the OVDI, why not opt out before extending the SOL? Does the IRS not view that as a "voluntary disclosure" even though the taxpayer has already submitted the "offshore voluntary disclosure letter" that outlines the amounts at issue etc? The Opt Out guidance seems to assume that the full package has been submitted through the OVDI prior to opting out. Is that really necessary? 1. At least for larger aggregate amounts (more than one account), the willfulness penelaty as a percentage is applied to the aggregate (even if applied separately, I think mathematically would produce the same result). The issue is most pertinent to the nonwillful penalty where it would make a difference if applied separately to each account. I understand that is the way the IRS applies it but have not tried to see whether that is an appropriate interpretation of the statute. 2. I think that in order to get to the opt out stage, your client has to submit the entire package including extensions. If your client doesn't do that, he or she will have effectively opted out because the IRS will audit. The only question then would be whether the noncooperating opt out (noncooperating because the package was not submitted with the extensions) would be more rigorous and more onerouse than the cooperating opt outs. I don't know. Hi Jack,I sent you an email already as you suggested. Please let me know of a competent lawyer in the los angeles area. thanks. Per the FAQ, a 90-day extension of 08/31 can be requested in good faith. Can it be requested if a response to the VD letter is pending? We have purchased a house in a foreign country partly using post-US taxed funds and partly using a home loan in the foreign country. That home loan was later paid off using foreign sourced income, for which taxes were paid in foreign country, but not in the US. There is no rental income from the property. Would it be upto the agent to decide whether this house should be included in penalty base? I see everywhere that there is no agent discretion in the OVDI, hence wondering how such items maybe resolved. Any insights anyone? My husband, two small children, and I live in Germany. The kids and I are US citizens. I have just today stumbled upon this topic. I have done our taxes since we moved here in 2003 and now realize that I failed to correctly report a small portion of our foreign interest income (usually $5-30/year). Even if we had reported it though, we would not have had to pay any taxes on it since we would still have a low enough income (due to the earned income exclusion). Since my husband had a greencard I filed FBARs for him for a couple of years (until he gave back the greencard)but at that time did not realize that I should file them too. Last year I found that out and filed an FBAR for myself for the first time. This year I filed one again. To make a long story short our FBARs for the 2003-2010 are only partially filed, our tax returns are not perfect, but even with corrections we would have normally not had to pay any US taxes. I am not sure if we still even have time to get everything together for the OVDI and send it in by Aug31, or if we should even try. We do have several accounts. All of the ones that were not reported in a previous FBAR had maximum collective worth of 70k. Any opinions? Jack, can u please advise on my scenario to do OVDI or not. Basically temporary worker on work Visa. Have a savings account offshore and many small deposit accounts linked to this savings account (in total probaly 25 accounts or so). Savings account was funded using W2 savings(US taxed income) and then deposit accounts were created from the funds in the savings account. No, number of accounts is 25+. Total tax that was not reported due to this ignorance is approx $3000 in total over the past 5 years. Some of these accounts are from HSBC with highest total of $20K. As such highest net worth of all accounts together is $80K. I was planning on going back in the next 1 year tentatively but nothing was finalized. Now in this situation, OVDI means around 20-25K penalty of hard earned W2 savings because of one ignorant mistake and stupid CPA who never emphasized this, not even for 2010. I cannot answer your question because (i) you do not present all of the relevant facts (at least I doubt that they are all that would go into the decision and (ii) I am not your attorney. If you reside in the U.S. and would like me to refer you to an attorney competent to help you make this very important decision, please email me at jack@tjtaxlaw.com. Thanks for your interest in the blog, and best to you. See the immediately preceding comment as to why I cannot respond to your question. Of course, you do not reside in the U.S., so I do not have the ability to refer you to a lawyer that is local to you. You may well have to engage a lawyer by long distance which, in my experience, makes the representation not as effective as local representation could be. But, if you understand that this is not optimum but desire to do it anyway, you can give me a call. Before making that call, in order to increase the efficiency of the call, I ask that you first write down a narrative of all matters that you think are relevant, along with the accounts and in rough strokes, the highest aggregate balance in the highest year. Be as detailed as possible. Then email it to me, along with pdf copies of the FBARs you have filed and copies of your tax returns from 2003 forward. I will review and set up a telephone conference. Jack, relvant facts wise not sure what else are u looking at but i din't know that i need to report these accounts, so did not do FBAR nor reported this interest income. Now computing @20% tax bracket, i think the total tax that i need to pay with all accuracy penalty etc is $3K. But the 25% penalty is a huge amount, considering that it was a honest mistake and I'm a Visa worker. But clock is ticking on me since HSBC bank is under investigation. Some insight or analysis of my situation will be beneficial. I can't give you legal advice in this forum. I recommend that you immediately consult with a qualified attorney in your geographical area. If you need a recommendation, send me an email with your location and I will do my best to locate one and advise you by return email. You mentioned that some of these accounts were in HSBC with a total of around 20K. Based on what has been in news that HSBC already sent the letters to account holders advising them of the IRS investigation. So the question arises is did you get the letter? If you did not get that letter, then the next questions that come to my mind is what type of account you have with them, resident, NRE, NRO and with what address - US address or foreign address. If you already got the letter, then it may be possible that IRS already has you name assuming that HSBC has complied with IRS request. In tht case you may not be eligible for OVDI. Jack - Just wanted to check the rule ---Is it mandatory to include the offshore house in the OVDI penalty calculation if there was unreported rent from it ? What if the tax was already paid on it and returns filed in the foreign country ? That is my understanding. Readers may have some different understanding and I encourage them to respond as well. Hi Jack, I'm still waiting for a reference from you. I've already sent you a private mail. This is the H1-B guy who has work permit till 2013 with HSBC acct. As of now, I'm inclined towards being silent and be compliant going forward. If I get an audit in the meantime, I'll just say good bye to this country. Not worth to stay 6 yrs away from family and then give 3 years of savings for a ignorant mistake. But will still wait for your reference and seek his opinion. I don't know which email you sent, I have received a lot of these and thought I had responded to all except one. I just responded to the one that I thought was still open. Based on the OVDI FAQ, if you bought the house using your foreign bank account which was not US tax compliant, then you are supposed to report the house FMV in OVDI. I know that it is outrageous but unfortunately that is what IRS wants you to do. In short, if you did not report few hundred dollars from your foreign account, you have to pay 25% penalty on your house, which could be substantial. Unfortunately, if you are audited, it does not matter whether you are in US or not. If I'm not wrong IRS can stop you from leaving the country if they think that you have evaded taxes. My advise would be to consult a tax attorney & clear the mess, even if it involves paying a penalty. It is a lost battle when dealing with IRS. The only way you can win is by paying them what they want. And once you have resolved the issue, you can think of leaving the country. Jack - Can you clarify what means by "Opt-out" ? Does that mean you seek pre-clearance, get cleared and then NOT send the documents or does it mean send the entire package and then call them or write to them and say I opt out. I guess in which step does one really opt out ? to the H1-B Visa guy - being an immigrant myself I completely empathize with your position. The US is probably the only country that taxes its citizens abroad and non-citizens here on worldwide income. Unfortunately immigrants have unknowingly got caught up in the same net that was cast to catch big whales. Opting out is an election at the end of the OVDI process after the taxpayer has submitted all documents and information. You have to send the documents in to keep your options open and to make sure you get the principal benefit of OVDI -- no criminal prosecution. If you get precleared and "opt out" by just not sending anything else in, you have no assurance of avoiding criminal prosecution and being assessed a higher penalty. If that is your strategy, it seems to me that it would be better not to join the program in the first instance and just take your chance on audit for past years (and, of course, get in compliance for the present and future years). Another benefit of OVDI (probably more relevant for most people) is the capped civil penalty. Some people may feel they can do better under standard audit than the OVDI penalty (say someone who came to the US 3 years ago on a temporary worker visa), and then they might not want to submit the full OVDI package (including, crucially, the agreements to extend statutes of limitations for tax and FBARs). Under normal audit, tax audits would be restricted to the normal 3 years assuming no substantial understatement, fraud etc. and FBAR would be 5-6 years. So if someone wants traditional VD, then presumably the solution would be to join OVDI, then opt out and go for standard exam. Jack -- great website, very useful blogs and above all, a big thanks for recognizing & advising taxpayers (innocent ones, in particular). With your kind permission, I was thinking of sharing a quite frequent hypothetical taxpayer situation. Any guidance from yourself or from intelligent readers would be sincerely appreciated. Under OVDI FAQ #35 (What kinds of assets does the 25 percent offshore penalty apply to? ), IRS answers that, "The offshore penalty is intended to apply to all of the taxpayer’s offshore holdings that are related in any way to tax non-compliance......". Also, the answer states, "Tax noncompliance includes failure to report income from the assets, as well as failure to pay U.S. tax that was due with respect to the funds used to acquire the asset." delinquent FBARs if there are no underreported tax liabilities and the FBARs are filed by August 31, 2011." The key phrases from above two FAQs are "Tax non-compliance" (from FAQ 35) and "Taxable income" (FAQ 17). "Tax non-compliance" supposedly means that the tax payer owes tax and did not pay; "Taxable income" usually means the final income after all adjustments, deductions, etc., that is "taxable". For example, on a Schedule E, Line #26 "Total rental real estate and royalty income or (loss). ", if there is a positive $ amount, that would be the "taxable income". Does a personal home such as above would still be included in the penalty calculation? FAQ 35 states "Tax noncompliance includes failure to report income from the assets". In the above hypothetical case, the taxpayer always had a "Loss". FAQ 35 also states "failure to pay U.S. tax that was due with respect to the funds used to acquire the asset". The taxpayer used his/her post US-taxed income or rental income towards loan payments. While rental income is taxable income, it was offset by mortgage interest, thus did not "fail to pay U.S. tax that was due with respect to the funds used to acquire the asset"? Are there people still doing quiet disclosures? Do you think small non-offshore transgressions will cause quiet disclosures to be in trouble? If the offshore interest ($1.5) is not making any difference to tax, should the return still be amended? I don't understand your question. Outside the OVDI, $1.5 in interest with commensurate tax liability would be a good reason not to amend. Inside the OVDI, as I understand it, amended returns are required -- if for no other reason than to correct the foreign account question on Schedule B. Regarding small quiet disclosures. I don't know the answer to the question. However, if I were in charge I would have some materiality standard for quiet disclosures before either auditing or attempted to force the taxpayer into OVDI. That is no indication that the IRS would have a materiality threshold, just that I think that a rational administrator would have one becuase of the limited resources available to chase after these matters. Where that materiality threshold would be for a rational administrator is the question. I don't know. Hello Jack - After the OVDI ends and assuming the traditional IRS disclosure is active, people having a/c with credit suisse, hsbc will never be able to disclose ? I say this because according to IRS rules even for traditional disclosure, if IRS has their names through the subpoena which has happened in this case. What is the recourse for such people who actually do want to disclose but cannot because of such constraints? Need some urgent advise please. My taxpayer sent OVDI package two months back and we did not correct domestic tax issue. My domestic tax issue correction will result in an additional tax of < $3,000 (including interest). We were completely unaware of this aspect (I wish my taxpayer had advised me of the opportunity to fix that minor domestic tax issue). Can we send an updated / corrected package before the deadline, with an honest explanation that we did not think that domestic tax issues can also be packaged along with the offshore tax issue? Again, honestly, I did not know. Will the IRS reject our package completely, even though we are correcting the error before IRS notifying us, the issue at hand is not of high $ value? My understanding is that the traditional IRS voluntary disclosure program will be available after this OVDI 2011 iteration ends. The traditional program is joined, certainly by a traditional noisy disclosure and, depending upon the facts and with advice of counsel, at least in some cases, by a quiet disclosure perhaps with an accompanying letter. You are correct that, if the IRS (even DOJ perhaps) already has the name (say from disclosures by the banks such as HSBC and Credit Suisse, then the taxpayer is technically disqualified from a voluntary disclosure. However, there are some mitigating factors. First, coming forward even at that point is likely to mitigate the risk of criminal prosecution, although it would not practically eliminate the risk as is the case where the taxpayer is accepted into the voluntary disclosure program. The problem with the traditional voluntary disclosure after OVDI 2011 ends is that there will be uncertain as to the penalty regime. I would suspect that, in order to maintain faith with the OVDI 2011 participants (and the earlier OVDP 2009 participants), the IRS may ratchet up the penalties. Of course, if the quiet disclosure path is chosen and the IRS for whatever reason does not audit, the criminal risk would have been mitigated by the quiet disclosure itself and the civil penalty risk is probably mitigated if the facts indicate no willfulness / civil fraud because (i) the quiet disclosure would be a qualified amended return that cannot draw penalties and (ii) the taxpayer would be only exposed to the up to $10,000 FBAR penalty that probably will not be onerously applied to smaller accounts. (Of course, proper advice on this needs experienced counsel -- and, as the astute reader will have noted, this might be a reason not to join the OVDI 2011 program altogether or even make a quiet disclosure. Forgive me, but please, can anyone help by responding to the post at "August 17, 2011 12:47 AM". In that post, instead of saying "tax preparer", I said, "taxpayer". Again, many thanks for a response please. God bless all. My story: HSBC account. 2010 FBAR filed. I've invested in growth funds starting 2006 (No interest/dividend). HSBC acted as temp account for transfer so only $1 interest per year. I had capital gain only in 2010 which is not disclosed. Balance max 75-100K joint account husband and wife. Considering very minor interest and capital gain in 2010. Can I just amend 2010 and file 2007,8,9 FBARs? If I file OVDI, can I do 75K per person calculation(husband and wife)? Thanks in advance!!! I think you should send the correction right away. I made three correction (due to PFIC and some other errors), and they took all. Your offshore mutual fund is PFIC -- so the gain/loss is not based on buying/selling. You have to report every year (capital gain). I think you have to get into OVDI to clean up this mess. 1. Do not correct and hope there is no discovery of the omission. 2. Send in correction along with explanation and payment for additional tax. I am not a tax practioner but I would do the second and correct the error. There is another poster on this blog that sent in multiple corrections according to his posts. You could also call the hotline and seek their guidance. I do not think IRS is out to get people who are trying to make things right. They are out to get all the back taxes, interest and OVDI applicable penalties that the program calls for. I was the person who made 3 corrections.. the very last was in July. I was told yesterday from hotline "your package is complete and it was certified on XXXX, it is ready to go". At that time, I just wanted know my package met the Aug. 31, 2011. Now, it seems to me that I am very close to f906, right ? I am so happy for you ij. I hope you get favorable resolution on the RRSP. You will have an overwhelming sense of relief once you get the 906. You will have less money, your hairline may have receeded a bit but you will be done with the miserable uncertainty. Let us know how it comes out. If it comes soon that will mean your process was about 5 - 6 months. If that is the case, kudos to IRS for speeding up the process over 2009. Like I posted before, it took me almost two years. Look for entries on August 3rd, 4th, 5th, 15th and 16th . Can you please explain FAQ 50 vs FAQ 36. In Faq 50 it says that if you had real estate producing income, it will NOT be included in the 25% and in FAQ 36, it says it will be included. According to the IRS guidelines, if someone opts-out then he no longer enjoys the criminal immunity and will be assessed through a full civil exam. In that case, how do we argue that the Opt-out is a better method than doing a traditional/quiet disclosure? What are the special penalties if any for Opt-out ? How does one convince their clients to join OVDI if we dont know what the Opt-Out penalties will be and how they will be treated vis-a-vis quiet disclosure? your thoughts please ...? My understanding is if the taxpayer gets in OVDI 2011 and then opts out, he is not subject to criminal prosecution. The opt out relates to the civil penalties only. On the opt out, the IRS may audit and probably will audit in material cases. Any regular penalty that could apply may apply in the audit. Go to the IRS FAQs which list the penalties that could apply if the taxpayer is not in the OVDI program. FAQ 50 is simply a test to determine whether the worst case FBAR penalty would be less than the penalty regime imposed by OVDI 2011. The construct is that the inside OVDI 2011 penalty will never exceed the worst case penalties that could apply outside the program. In the hypothetical, the only penalty that could apply under the limited facts (one account, one year, maximum amount $100,000) is the willful FBAR penalty equal to $100,000. So, inside the program, that lesser FBAR penalty will apply rather than the 25% in lieu of penalty that applies to a base including the financial account and the real estate. For purposes of calculating the 25% penalty to make this test, the real estate is included in the penalty base. So, if your facts are such that all other penalties (particularly the FBAR penalty) produces a willful penalty of less than the 25% penalty in the program, then you can keep the real estate out of the penalty base. But if that result is greater than the 25% penalty in the program, the 25 % penalty in the program applies. And, to close the loop, the 25 % penalty calculation includes the real estate. If a tax payer rented his only home in his country of citizenship but the rental income is offset by mortgage interest, would the home still be included in penalty calculation? Schedule E would clearly show that the taxpayer had a net loss each year, therefore, there isn't any "taxable" income? I guess it was trying to understand what this statement meant in the guidelines "Taxpayers are reminded, that even after opting out of the Service’s civil settlement structure, they remain within Criminal Investigation’s Voluntary Disclosure Practice"
to Anonymous @August 18, 2011 11:00 PM - If the mortgage interst completely offsets the rental income then filing delinquent FBARs should suffice without need for amendments. Not sure though and may require other's thoughts as well ? It means they have you in their sights as far as knowing you have issues because you flagged yourself. So you are expected to cooperate with the IRS. If you do not cooperate they can kick you back to the CID which is not good. to Anonymous @ August 19, 2011 1:16 PM -- I could not quality for delinquent FBAR option as I had couple of Accounts which produced a little bit of interest income. So, I was just hoping that IRS would be okay to omit my rental home from the penalty calculation. Now that its been a month and a half since the 2010 FBAR filing deadline, is there any information on whether IRS is auditing first time FBARs? Same question for quiet disclosures...any experience/information anyone? Going back to your analytic process mentioned at start of your blog.. for step#3, what's the latest guidance on penalties outside OVDI (for non-wilful). Would the previous mitigation guidelines apply? Here's our situation.. in consultation with experienced counsel, we are good on #1 &2, but due to large number of offshore accounts, we are not sure what maybe penalty outside OVDI. Our counsel is leaning towards quiet disclosure. Any latest insights on penalty structure outside OVDI would be immensely helpful. In case of non-wilful failure, if one goes for quiet disclosure, submitting amended returns, should one also submit FBARs for all associated years? Or is filing the last FBAr (2010 FBAR) sufficient? You mention: "The taxpayer might file amended returns for the back years and claim the qualified amended return waiver of penalties altogether, but that is another blog"
A qualified amended return is an amended return filed after the original due date of the return (determined with extensions) but before any of the following events: (i) the date the taxpayer is first contacted for examination of the return; (ii) the date any person is contacted for a tax shelter promoter examination under § 6700; (iii) as to a pass-through entity item, the date the entity is first contacted for examination; (iv) the date a John Doe Summons is issued to identify the name of the taxpayer; and (v) as to certain tax shelter items, the dates of certain IRS initiatives published in the Internal Revenue Bulletin. § 1.6664-2(c)(2). In the current context of foreign financial accounts, there could be some disqualifiers in particular cases (contact for promoter penalty, John Doe Summons) and the dates of certain IRS initiatives in the IRB), but in the vast majority of cases the disqualifiers would not be present. For example, from the public record, the IRS has used John Doe Summonses in only a small smattering of cases (Stanford, UBS, HSBC India and perhaps one or two more (see my spreadsheet)). The vast majority of cases I handle do not involve these foreign financial institutions, so the qualified returns concept would seem to work to avoid the accuracy related penalty. The big problem, of course, is that the big penalty is the FBAR penalty which is not subject to the qualified amended return relief (and in most cases delinquent FBARs rather than amended FBARs would be the solution, anyway). I am not aware of enough indications of IRS actions on opt outs to draw any conclusions about what the IRS will do with non-wilful penalty situations. However, when advising clients, I have to tell them of the risk of $10,000 applying per account per year, so with many accounts the risk could be very great and well exceed the inside the program 25% OVDI 2011 penalty. I believe that the IRS will apply the mitigation guidelines (or at least make noises like it will), but there is flexibility in those guidelines for punishment or grace. With more information as these opt out cases actually gets processed we will have a better view of which direction that flexibility will take. When that occurs (likely several or many months from now), hindsight will tell some of the taxpayers (i) that they may have made a mistake in opting out or (ii) that they may have made a mistake by staying in from fear of opting out. A serious question: at what point would tax practitioners recommend non-compliance with a law? I realize the job of tax attorneys and accountants is to ensure clients comply with tax laws, and that they're probably legally obliged by US law not to facilitate tax evasion. But... how bad would a law have to be before professionals threw in the towel, as it were? Are we already there? Non-OVDI FBAR penalties may consume more than 100% of foreign assets, but passing something as law doesn't automatically indicate that it's morally justifiable. Do these assets need to be declared in the valuation of the holdings and counted for the high watermark value ? "If a tax payer rented his only home in his country of citizenship but the rental income is offset by mortgage interest, would the home still be included in penalty calculation? Schedule E would clearly show that the taxpayer had a net loss each year, therefore, there isn't any "taxable" income? " It would very likely be included. The IRS intends to penalize anything on which there is any income, irrespective of whether the tax could be offset by foreign tax credits, NOLs etc. On the other hand, if there is no FBAR violation (i.e. aggregate foreign accounts < 10K), then there is no problem. Amend return with Schedule E.
1. Do we need to send 25% FBAR penalty also with the package? 2. As far as gift tax is concerned, I gave all the money which existed in my NRE accounts to my mother in 2009 (around $100K) as they needed for family help. I didn't know about the filing gift tax and didn't do so. Do you folks know whether there is any repercussions/penalties associated with it? I did read somewhere that you can gist up to a $3.5 million in your lifetime to your family....IF thats true, I don't have to pay any gift taxes on that..right. 1. You are not supposed to send payment for the 25% in lieu of penalty when sending in the package. You make a calculation of the amount for the IRS, but that is just your calculation. Only when the IRS makes its own calculation (maybe just agreeing that yours is correct) does it send you the documents to finalize the amount. You then pay the penalty. That penalty does not draw interest until it is assessed. 2. I am not a gift tax expert so you should seek advice elsewhere, but I think the result of that is unreported gifts do use up your lifetime exemption which more than covers the amounts involved. I have two offshore accounts in India. I made temporary money deposits (from 2007-2010) to NRE offshore account (1st account), to buy a rental property in India, which pushed up account size and gave a temporary bump in the highest aggregate value to $120,000. The amount was hosted in account for short time periods, so total accrued interest for 4 years was $500, with estimated $100 tax on accrued interest. The rental property started delivering income in 2009 in NRO offshore account (2nd account) and I have been declaring rental income and paying taxes on rental income in US. I was not aware of FBAR filing rules and haven't filed FBAR for both offshore accounts. In addition, I made unintentional mistake of not reporting $100 tax on accrued interest in NRE offshore account (1st account). Do you think I have a reasonable cause to display that I didn't had any criminal/wrong intent for these transactions. The funds transferred to 1st offshore accounts were after income tax was paid in the U.S. The unpaid $100 tax on accrued interest in first offshore account was unintentional ignorance/mistake, as I have paid total $8300 taxes on property rental income, from second NRO offshore account. •Silent file delinquent FBAR's and amended tax returns ? •File OVDI - The penalty on $110,000 highest aggregate value will be $30,000, which is completely unfair. •Opt out of OVDI and negotiate reduced penalty (5%) with IRS agents. What will be chances of getting fair treatment from IRS. Hi PT, I would advise you go for OVDI and then do opt out...Slient disclosure is too risky and wont work. I agree, and PT you should ask a tax lawyer maybe Jack to argue for your case. Certainly it is a strong non-wilful FBAR case. Hi All, I have read some websites which state that only US citizens and GC holders need to report worldwide income. If during 2003-2010 period, I have a on a H1B via from 2003-2007, do I need to report foreign income in amended returns as a part of OVDI program? if you file US return regardless H1B/GC/Citizen/, you are US person. You are required to report global income. US person covers all "green card, citizen and H1B, etc". You are a US person. As long as you filed a 1040, you need to include foreign income in amended returns. Once you meet the substantial presence test, you are a US person. PT -- your case is unique enough (why on earth would anyone conceal $500 on accounts, but report $8300 in rental income if they wanted to conceal accounts) that you should consider opt out. The sum is large enough that you should talk to a CPA/lawyer. Hi All, I sent my pre-clearance form yesterday but haven't got the approval yet. I am in process of chaning my income tax returns. I have ordered 1 income tax transcript which I lost (2003). Can some one advise me future course of action? I just entered into OVDI program to amend my mistake. I hope IRS really gathers all data from all Indian banks to bring all 99% of other folks into compliance - otherwise some of us will look like stupids who gave 60% of our life savings for a ignorant mistake. Would appreciate your advice regarding best course of action in my case. Do you think I have a reasonable cause to display that I didn't had any criminal/wrong intent for these transactions. The funds transferred to 1st offshore accounts were after income tax was paid in the U.S. The unpaid $100 tax on accrued interest in first offshore account was unintentional ignorance/mistake, as I have paid total $8,300 taxes on $34,000 property rental income, from second NRO offshore account. 1.File OVDI - The penalty on $115,000 highest aggregate value will be approx $30,000, which seems completely unfair for mistake. 2.Opt out of OVDI and negotiate case with IRS agents. What will be chances of getting fair treatment from IRS agents, after they have all details. It seems like this is seperate branch handling OVDI cases, who have no negotiation powers and they just go by rules. 4.File 2011 FBAR and amended tax returns with 2011 tax returns. Just a contrary opinion and friendly advice. I am sorry you had to enter the OVDI. I know how you feel, as that was what I was feeling when I entered the OVDP. I feel your pain. However, I wouldn't be wishing for any more IRS powers to bring others into compliance. If I were to venture a guess, I would think you are a person who is risk adverse, and there are costs involved to help you sleep better at night. May I suggest, that you don't waste your energy or begrudge others who made a different decision. There is a cost to that decision also. That cost could be even higher than yours. BTW, if you have a strong case that you were "non willful" or just benignly negligent in not understanding the rules, you might consider an appeal to the TAS. A lot depends on your facts, but if the 60% of your life savings seems a price seems too high, and you were not one that was willfull and egregious in tax evasion, I would consider contacting the TAS (Tax Advocacy Service) for an appeal. They are tuned to this issue, and might take an interest. Just an option to consider, again, depending on your facts. Seeking clarification wrt duplication removal from accounts. Assuming there is a Account A with 10K bal. Then another 10K gets deposited and total is 20K. Now 15K gets withdrawn into CD. Again 30K gets deposited in the Account A. Account A balance at this point is 10+10-15+30=35K. And there is this 15K CD. If we remove the 15K amount from the CD as duplicate as this money got counted in Account A as well for this year, the highest bal is 35K. But if we eliminate the 15K from the Account A, highest balance is 35+15=50K. This is crazy. Wish it was just done with year ending balance to make it simpler. A friendly advice from someone going through these disclosure processes. Please consult a tax attorney ASAP. Based on the facts you state you maybe a candidate for quiet disclosure. That s still an option based on facts of the case and your risk tolerance. I think your math is faulty. Max balance for A is 35K, max Balance for CD is 15K. Total = 50, subtract transfer = 15K to get 35K. Anon of "August 24, 2011 5:11 AM"
if your put 30K before 15K went to CD, your account A would be 50K and CD would be 15K so total is 65K (with 15K duplicate). 99% who did not win. Jack, any idea on this article esp the last block which has IRS reponse to this meeting. "The IRS responded that for those who believe themselves to be innocent of violation have the choice of opting out of OVDI but they would still have to make full disclosure under the August 31 2011 amnesty program. That would expose them to scrutiny but if their case was genuine, (for example the delegation pointed out to the IRS officials that if the interest income during the process of supporting children/siblings education and of buying a retirement home is small amount compared to the estimated penalty), they may escape penalty or pay a much smaller percentage of penalty. In the simpler cases of non-disclosure, the tax payer can represent themselves to the agent after filing all amended statements during the opt-out procedure. " Does this mean that they are allowing quiet disclosure for simple honest cases? or are they suggesting to opt out for simple cases.. I am too swamped to read the article now, given the other priorities on my agenda. Now, the question that should be asked is: What will the IRS's agenda be with respect to small fish (and one should never assume that he or she is a small fish) who do not get into the program or who attempt a quiet disclosure? I don't know. I can speculate -- and no one should rely upon my speculation -- that, if they go after small fish who don't get into the program at all, they will not go after many and may not go after the truly small fish at all. Just speculation. When honest people are accepting their mistakes and entering into program, it feels a lil bad when others are just calling us stupid. I just wanted the law to be fair and enforced strictly to get every one into compliance..
1. Is quite disclosure still an option in a truly small case. Thats what a qualified attorney is suggesting, but I am still in doubt. 2. Will per account penalty be assessed when there are multiple smaller accounts (less than $100 ) and only one account that really triggerred fbr. Thanks Jack. You have been so helpful. This info is then misleading from IRS FAQ. Here they are saying small genuine ppl will get chance to prove their innocence. Wish they could update their FAQ. Many more ppl will participate. Idea should have been to bring ppl to compliance and not collecting money from innocent. Atleast if accounts have US taxed money, then their should be some liberation. It makes sense for folks who had other sources of income or business but just interest income on taxed money should not be punished like this. First pay 25% tax and then u missed a law, so give 25% of principal now. Atleast some hearing should be given, a chance atleast. In same regards as of the response: Anon of "August 24, 2011 5:11 AM" about calculation for duplicate removal, ij can u clarify this scenario. Account A has 50K. And there is CD1 for 10K and CD2 for 8K. So highest is 68K. Account A gives gift of 30K. So balance is 20K in account A. But highest is still 68K. Now CD1 matures and gets deploisted in Account A. So Acct A balance is 20+10=30K. But highest till this point is still 68K. Now another CD3 is made for 15K out of account A. Account A balance is 15K now and CD3=15K and CD2=8K. Now how to calculate highest balance? Definitely cant say 50+10+8+15? Would we still say 68K as highest? Same example, now after CD3 is created, there is deposit of 40K in Account A. Isn't this crazy? the agent must be a accountancy champion. and they must accept these computation mistakes if any as each can infer the total in different way. "Isn't this crazy? the agent must be a accountancy champion. and they must accept these computation mistakes if any as each can infer the total in different way. " If you use IRS xsl penalty calculation, it simply add each Account's the highest balance as the aggregated highest balance. This would make a taxpayer who has 5 times more in his total balance if he transfers from Account A to B, then to C, and to D and to E -- all the same money (say he transfer 10K from A to B, then B to C, C to D, D to E), this is just assumption -- it could happen if he puts money in stocks, then cashes out, buy another mutual fund, and then cashes out buy bond, and then finally CD... a bit crazy --but possible. In OVDI base penalty calculation xsl sheet, the taxpayer has to put all account A, B, C, D, E into --- then he can claim duplication -- and remove from penalty --as a result, it will go back to 10K (assume he does gain or lose through his investment).. The problem is that if he can not prove the link between these accounts (such as transaction record in paper), then he may have to pay penalty based on 50K instead of 10K. A(t)+B(t)+C(t)+D(t)+E(t) -- the key here is t, the time. Max[A(t)+B(t)+C(t)+D(t)+E(t)] here Max means taking the highst value. at any time, t, the same money can not be shown on more than two accounts (out of one account into another account), so the balance is alway 10K. The only chance he can clear up this is to "prove" that the duplication -- and the buredn is on the taxpayer..
Anon - August 24, 2011 4:24 PM - I believe this meeting happened a few weeks back and then there was an IRS response in the form of a letter. Perhaps I am wrong but was this another meeting after the response ? Unfortunately, as a non expert, unless there is some nuance here, I don't see anything new in the IRS response that would encourage me. I think Jack's No, Yes response without even reading the article is exactly correct. The only option they are providing the OVDI participant is that they should 'opt out' later. With the uncertainty and opacity of Opt Out results, the IRS is assuring that they extract maximum revenue with that "irrevocable" provision which probably scares people into remaining in the process and paying the ridiculous 25% penalty. Maybe that will change in the OVDI, and they will be more willing to levy smaller penalties in an Opt Out, but I am still looking for antedotah evidence that Opt Outs are a workable solution for small fry. Are audit agents looking at what they are receiving at the front end and immediately recommending that option. If so, then that might be an improvement, Or,... are they using threats and intimidation to throw obstacles in the way of that logical solution just to keep people paying up the 25%? Why in the world, the IRS just can't seem to find a way to filter out the small fry in the first place, is still astounding to me. To put them all through the OVDI process and then have to go the Opt Out route is just dumb. I guess it is just bureaucratic ossification, or something, that keeps the IRS unable to revise the whole process. Once they have started down a path, it is like our wars, we just can't seem to call off the "Shock and Awe" approach to fight a war once we have decided that is what the Empire should do. Since the non-wilful FBAR penalty is "up to" 10K per year, by Opting out, does one have a chance to get a reduced FBAR penalty amount(say $200 or $500 i.e.less than 10K per year) or do the examiners have to apply the max (10K) per year since they have no discretion. Plese clarify. I saw hodgen's page. It is scary. I thought that the penalties in OVDP/OVDI are certain and known before hand. Why can they change and be up to the discretion of IRS agent? Hi All, Can someone tell whether we need to send all details of original returns and amended returns (like itemized deductions, child care forms etc.) in the package? In theory, in an Opt Out, all the discretion allowed in the IRM should return. There is no requirement that an Agent issue the Maximum penalty, or every technical penalty. The IRM specifically points that out. I would suggest you read it yourself, and become familiar with it, even if you are not a technical type used to absorbing this type of manual instructions. In my OVDP, I took the opinion, that I needed to know the IRM better than my agent, or her technical adviser. My knowledge of it came in pretty handy when I needed to counter an assertion made. Here is the link below, as again, I think this is the guidance that should be informing the agent discretion in the Opt Out. Now, is that happening now?? I can't really say. Maybe some Practitioner on this blog can give you some insights, based upon their experience. I don't know how many Opt Outs have been processed, and if the results will ever be published so that we know. It will probably only be gleaned through various anecdotal attorney reports on the successes they had or did not have in an Opt Out situation. The most important thing to me is that there is no floor to the penalty, and that is exactly the opposite of the Maximum penalty assertions in the FAQs. Also become familiar with the various guidelines an agent is provided. Notice that guideline doesn't mean that they have to. It is a suggestion, not a "Shall" type of direction. I am a H1B holder who panicked, couldn't concentrate/focus on my work and jumped in OVDI. Could not get a lawyer for the price i was looking for and I had transferred close to 95% of my earnings in the last three years. I was hoping that i could argue for a reasonable cause exception with no penalty. But reading all other posts i think that may be too much to expect. Also unfortunately all the transferred amount had been used to buy a flat and i may have only 5% remaining. i need atleast $1200 for my one way flight ticket. But for a $700 old car and some old furnitures that may be $225 i dont have any other possession here in the US. most of my friends say i shouldnt have jumped in ovdi but i think it is too late. b) if my H1B gets extended and my job continues i can pay slowly over a period of time but i am not sure if that is acceptable. HSBC account. I got legal advice to go with quiet disclosure. This is an honest case and there is no logical sense to pay 30K in penalty just because of some ignorance and idiot CPA. Quiet disclosure is better than no disclosure at all was the view. Are folks still doing quiet disclosures? "Since the non-wilful FBAR penalty is "up to" 10K per year, by Opting out, does one have a chance to get a reduced FBAR penalty amount(say $200 or $500 i.e.less than 10K per year) or do the examiners have to apply the max (10K) per year since they have no discretion. Plese clarify. " The max is actually 10 K per year per account, so if you have small accounts that can add up. The IRS will likely follow the mitigation guidelines in its manual, but will assess on a per year, per account basis. You can calculate roughly what sort of penalties might apply to you by using the manual guidelines. This is assuming nothing else that might indicate wilfulness. b) if my H1B gets extended and my job continues i can pay slowly over a period of time but i am not sure if that is acceptable. " a) If you let it lapse, I assume its similar to being removed from the program and you go into the opt-out program. b) Yes, paying over a period of time should be acceptable. "HSBC account. I got legal advice to go with quiet disclosure. This is an honest case and there is no logical sense to pay 30K in penalty just because of some ignorance and idiot CPA. Quiet disclosure is better than no disclosure at all was the view. Are folks still doing quiet disclosures? " Quiet Disclosure is an oxymoron. The IRS will know as soon as your late FBARs and forms arrive that you are trying a quiet disclosure. At that point, its uncertain what they will do. Based on your penalty, your account is just > 100K. That might be enough for them to ask for a full audit, especially if there are many years of violations and other issues (example, an unticked Schedule B question). If you have an account in HSBC India, the IRS may have/will have your name anyway. That might argue for joining OVDI quickly, then opting out. If it took a loan from a bank in which I had FD accounts to help out family (wife's uncle company) - can I deduct the loan from the max balance to reduce the penalty? The loan was re-paid in 2 years and it didn't generate any income. Do we need to include loan account information in FBAR forms? I paid interest on the loans but I am no deducting it from the interest I got. If we have main savings account and many small multiple CD's which are actually linked with main account and shown in same statement (total number if each counted separately exceeds 25), can i just club all CD values also against the main account and report just main account in FBAR (As its in same stmt anyway and linked). Quiet Disclosure: I had my lawyer call the IRS CI about QD since my unreported income was less than $3000 collectively for all years (2003-2010). But the CI strictly recommended OVDI and said that most of the QDs will be rolled into OVDI. I really feel for the H1B1 visa holders who are now facing these hard decisions and the cost of coming into compliance. Sure, it is easy for us, who know all about the rules and regulations to be critical and say, they should have known all along too. They should have paid attention to the ridiculously complex tax and reporting structure we have and realized that this is the cost of living in the 'Land of Opportunity'. But this land is looking less and less attractive now, as evidenced by the punitive manner the IRS is now harvesting the small small fry in their pursuit of big Cheats. I bet a lot are now thinking that returning home, taking with them their talents and skills, is looking more and more attractive than facing some of these onerous penalties and life changing decisions. What is that cost to America? Does the revenue collected offset the cost in lost future taxes and contributions to America's economic growth. Don't know, but it can't be helpful. I am sure Commissioner Shulman thinks that is not his concern, or job description. He is all about tax collections, pure and simple, damn the consequences. Looking forward to when FATCA comes into play, a lot more will look on America as a pariah not worth the complexity and expense of being associated with. Sadly, in my opinion, the US is just going the wrong direction with its taxation and enforcement policies. "Are folks still doing quiet disclosures?" Regarding your CD FBAR question. I guess it all depends. I think I had a similar situation as you do in the country I live. I have had to report each individual CD (called Term Deposit here) on the FBAR, as technically, each CD had a two number suffix added to the main account number, so each was considered an individual Account. In the OVDI, the IRS will love you, as they can then assert individual FBAR penalties for each of these CD accounts, and that will keep you bent over in the OVDI paying the full 25% rather than to risk a separate FBAR penalty per account in an Opt Out. To the response, "If you have an account in HSBC India, the IRS may have/will have your name anyway. That might argue for joining OVDI quickly, then opting out." Opt out seems a good option if your 25% penalty is so huge that even nonwilful or wilful penalties are less than 25%. But in cases where 25% penalty is around 30-50K, opt out seems not helpful as per the FAQ. But then to the Indian delegation, as per the article posted above, the IRS responded them to go for opt out. But as per FAQ, opt out seems to be costlier than 25% as if they are applying 10K per year per account, it could easily go upto 30-100K for even 3 years violations. Sometimes it appears that either do OVDI with 25% or just do nothing and take your chances. If HSBC does end up disclosing the names (not necessary it will disclose even regular accts and may just disclose premier ones), again IRS will potentially use some filtering to audit them. Would be surprised if they audit all accounts. There may be well around 200000+ accounts. So may be just taking that chance and correcting it next year might fix the issue for you. Otherwise, just OVDI seems to be the option. Opt out definitely means audit, so may be quiet is better as there is 50-50 chance, or in same line doing nothing. If quiet disclosure is imposed penalty, you can take it to court and challenge it. Its sad that the govt is allowing and being a silent spectator to this. Its very unfair to treat real evaders and small fish with hard earned income with same treatment. Hi. I would appreciate somoene’s comment on my case. I am an immigrant and have 5 offshore bank accounts/deposits, totaling just about $35K. I do have a property that was purchased with after tax dollars (approx value of $100K). It produced about $2,400 of rental income in 2010. I understand by going through the material available that the ridiculous rules under OVDI would mandate the property to be included as part of the assets and the penalty would be calculated on the aggregate. I was inclined to just stay out of OVDI and wait and watch. However, one of my relatives in the US has opted for OVDI and has disclosed one minor offshore account where we are joint account holders (my name and details went along with his package). My question is – does this event increase my chance to being audited and hence should I consider getting into the OVDI program? you are playing game with IRS, I do not know (and nobody would know) the chance of you being caught. But, IRS has way to find out (through data mining etc), and once you are caught, your wilful act is for sure, and you may lose all your assets and plus jail term.. It is ridiculous, I agree that your house has to be included in the OVDI penalty, and as such, it could be that the 25% penalty would be much higher in the OVDI than what it would be if you Opted Out. Of course, that all depends on your unique set of facts. This OVDI is a miserable failure in separating out at the front end, the Minnows from the Whales. As you go through the process, if you have any hope of relief, it will only come at the very tail end of the process via the Opt Out. There used to be a FAQ35, in the OVDP, that did give some discretionary relief to small fry, but that has been removed as the IRS has pursued MAX penalty comparisons in the OVDI. Outside the OVDI program in an Opt Out, in theory, an Agent could use the IRM discretion to assess smaller penalties than the Maximum, but you need good advice on going this route both before you join and at the conclusion of the OVDI. A lot will depend on the agents assertion of your Willfulness. If you can't agree on that on simple fact, and the agent is asserting that you are willful, in spite of your pleas to the contrary, outside the program in the Opt Out, you will have even graver risk. One other avenue to consider that isn't much discussed, that depending on your facts, when you come up against the wall at the end of the process, and the penalty is in the Over-the-Top category for the minor transgression; and you are in disagreement with your agent on willfulness, you might consider an appeal to the Tax Advocacy Office (TAS) for help before either Opting Out or being forced out. Again, and I emphasize, that could only happen at the very end of the process. A lot depends what is happening in the Opt Outs at that time and what transparency there is on outcomes for those that choose that route. One thing to consider, while you can't be an obstructionist, I do think dragging the process out as long as you can is to your benefit. It allows time for continued evolution of the penalty application or Opt Out process. It could still change with increasing protests by those in the small fry category. It has already evolved a lot since I joined the OVDP 2 years ago with new lower levels of penalty for those below certain technical thresholds. There could be other changes too, who knows. If you are doing this yourself, (and you can) without a POA, be as detailed as possible using all legitimate audits of the agents reconciliation work, calculation of highest aggregate amounts, etc. Check everything and raise lots of questions in writing, and keep making your case about your level of willfulness. Document all correspondence and communication. That is important. One final bit of advice. Keep your relationship cordial and professional with your auditor. There is nothing to be gained by venting at them personally. Put yourself in their mind set, and try to empathize with their task. They are victims of the system too. They are just following the guidelines they are given, and their decisions are controlled by a Technical Adviser and Managers. They truly do not have any discretion inside the OVDI, and many know that the 25% penalty does not fit the crime. If you empathize with them, they naturally will return it, and that can be helpful come the Opt Out decision time. In the interim, I would be reading up on the IRM manual 4.26.16. You need to know it better than your agent, especially if, in the end, you decide to Opt Out. I'm in two minds as to "do nothing" or "quiet disclosure" ? Worst case if audit leads to huge penalty, just return back to home country as I'm on work visa. Whats the opinion. Also, how about just filing the delinquent FBARs and not amend the returns. The total tax that i would owe after applying foreign tax credit is around $3500. Amending returns is totally ok by me but reading the blogs seems like it could generate an audit. I want to be compliant but 25% penalty means 2 years of savings. I was not very knowledgeable about all this, its just an honest ignorance failure. Funds are sourced with just W2 income. And since I'm not a permanent resident, I've been sending my savings over to my home country. Opt out seems risky as I've many small small Fixed deposits, almost 35 or so. How can someone ask for 2 years of hard earned money from a career of 8 years from honest folks. Even the CPA's never asserted this. But problem is we can't get a written statement from them. I wish I had used HRBlock or something. Thanks folks. Appreciate the information. Guys, I am not an expert. I am just a guy who went through the 2009 OVDP. You are asking some of the agonizing questions I was asking myself when I joined the OVDP. It took almost 2 years to bring it to conclusion, and I struggled with the unfairness of the penalty application. In the end, an appeal to the Tax Advocacy Service (TAS) helped me come to a more favorable solution than a 20% penalty which included my house value in the aggregate. You both sound like the small offenders to me, but the IRS will have little mercy for you inside the OVDI. They are quite happy to lump you together with the egregious cheats. They will take your pound of flesh in equal portions as the BIG GUYS. It is a stupid policy and totally unjust. If you join, you should definitely write Commission Shulman with your concerns. At this point, I would say most of your questions have been answered on this blog somewhere. I would encourage, at a minimum, to read every last entry on the popular posts of last 7 days activity. Or, just go back to May 1st, and read all related entries from that point forward. You are reading one of the best blogs around for this OVDI/FBAR subject. Ultimately, to get very specific question answered, you may need to get professional advice. Don't be penny wise, pound foolish. I did the process alone, without a POA, but it came with a BIG cost in personal time, effort and anxiety. I did pay for entry advice and at key decision points. It is not cheap! Also, if you have not consulted with an expert Attorney or don’t know one, Jack Townsend has said that if someone were to email him, he would provide a name of an attorney in your geographic area who is knowledgeable on this specialized section of the law. You might try that, if you don’t know who to go to. As for the question “To join, or not to join?”, I can only speak for me. For me it was relatively easy to decide. Once I made the FBAR discovery, it seemed to me, that if I didn't join, I was making a "willful" decision. That was a line I could not cross. As such, the audit lottery came with too much risk for me to contemplate. Silent Disclosure was way too risky. I, however, could understand why others might not make that decision. Ultimately, if you are to remain in America, you probably should join, as with the coming of FATCA, your likelihood of being caught in future years is going up, and then you will be in a world of hurt. I wouldn’t dismiss the “Opt Out”, at the conclusion of the process. It has some possibility depending on your facts and the relationship you have established with your auditor. I think as time goes one, it will be clearer what is happening with those that “Opt Out”, and there “could be” more favorable discretion for small offenders. Do I know that for sure? No, but some of the attention that is being placed on the immigrant situation leads to me hope it might be. I recognize, hope is not a strategy, so you have to be prepared to pay the full 25%. I would definitely consider an appeal to the TAS at the end of the process before you “Opt Out”, if you were truly non willful and can not live with the OVDI result. As for the question of proving a payment is a loan repayment and not house rent, well that will show on your amended 1040X. It will probably only be questioned if they decide to do a full civil audit in the “Opt Out”. My auditor took my word for everything, but then I over produced documentation. Remember, your pledge is to be truthful in the OVDI. You can not afford to have any hedging on that. You have to be fully cooperative and forth coming. If what you are saying is true, I wouldn't worry much about the proof. It should be easy for you to establish. PS…Returning to one’s home country, sadly can not be an overlooked option. It is part of the unintended consequences to America's short sighted revenue enhancement efforts. 2. If I choose not to opt out, but go through the complete OVDI process, would I still be asked to prove that the deposit in my account was in lieu of a loan repayment and not rental income? 3. You cautioned about not going alone into the process. I am planning to seek the help of a CPA to help me out in this process. Do I necessarily need a tax attorney? Are you saying that your request for assistance from the TAS resulted in the IRS lowering your penalty % and or removing the home from the calculation? If so this would be a clear signal that contacting TAS is productive for those who truly have facts that should mitigate the harshness of the general penalties. I got in the 2009 program real early and closed sometime in October 2010. The IRS would not listen to my arguments of reasonable cause and asserted the 20%. I paid and closed cause two years had wore me out. I am considering filing a post closing report with TAS not only because of the adverse settlement but also because IRS did a lot of strange things during the two years that resulted in a boat load of additional legal fees. At one point out of the blue, they refunded my in lieu of penalty plus paid me interest on it. Talk about confusing. I did not know if they changed their minds on my application or if they just messed up. It ended up being the latter.They also began collection actions on two of the years in the disclosure through one of their service centers. I already had the criminal clearance and was working with an agent when this started. No one could stop the collection letters so we paid those two years to the service centers after the agent agreed to make adjustments for the two years in the final settlement. Of course all this crap and more was dealt with by my attorney who did not work for free! I can only speak to my experience. 1. I don't think I fully understand what you mean by "deputed". Did you mean to use another word? In the 2009 OVDP, an auditor (at least that is what I called her), was assigned to me for the entire process. I was required to produce records for all my bank accounts for 6 years. That was not easy for me. I went through the effort of annotating with a color legend every last deposit over six years. It made for a lot of paperwork. Did my auditor use it? I really do not know. Ultimately, I like to think that my full disclosure route answered all her questions before hand, and she never disputed a thing I showed or asserted as to source of funds. Maybe it was because I provided more detail than she needed or wanted at the time, but I took the approach of more is better. I wanted to have the answers before the questions came. 2. I don't know why the subject would even come up. You have to amend returns, and if you are not showing rental income on Schedule E or on Misc income, and it honestly is not what those deposits are, I can't imagine there would be a problem. Like I said in question 1, my deposit detail was never questioned, and I had several classes of deposits from cash, rental, traveler checks, interests, sale of assets, etc. I showed what they were and had support as back up if asked, but it was never asked for. I assumed it would have been very important if I had to Opt Out and go through the civil audit process, but I was prepared for that, so it didn't really worry other than having to spend more prep time. I think the lesson here, is that from the outset, prepare for a civil audit with full disclosure, and then you won't have any worries. 3. My experience is that the Tax Attorney, who knows the nuances of the Statutes and IRS rules is much more important than the CPA. The CPA can do all the nitty gritty work of amendment and document production (but it does separate you from the auditor). I think it is important that you stay in touch with your auditor, especially if you assert non willful behavior. This is the only way they will really get to know you and judge your character or the truthfulness of what you claim. If I had a limited budget to spend, I would spend it on the Expert Attorney, and do the CPA spread sheet work myself. Self help on interpreting laws and designing strategy is probably a fool’s game. Doesn't mean they have to do all the detail work for you, but informed expert guidance is important, so yes, get good advice. The CPA that I used to do my first amendment, ended up being worthless for understanding the FBAR rules. In fact, he was pretty dismissive of the requirement, and only recently had informed his international clients that they were required to complete the FBAR. He had a "no big deal" attitude as to FBAR compliance. HOW WRONG HE WAS!! Also he made several mistakes on the Foreign Tax Credit 1116 form, and couldn't explain errors that I discovered, so in the end, I said, what am I paying him all that money for, and did all the document creation and amended returns myself. In the end, painful as it was in time and effort, and in spite of my auditor’s desire for a POA who spoke the lingo, I think it served me well to maintain a good relationship with her. I am semi retired and had the time, (IE no job or children which required attention) and I can understand that not everyone might be as detailed as I can be, when I put my mind to it. So yes….GET TAX ATTORNEY ADVICE, and again, not any tax attoney. Get one that is very knowledgeable and has a history on FBAR Statues and the Internal Revenue Manual (IRM) application of penalties. Not all Tax Attorneys are the same. Read Jacks BOLD advice at the beginning of this blog. Take it to heart. "Tax penalties on U.S.-Canadian citizens in Canada "outrageous," MP Don Davies says "
Per suggestions made by multiple people on this blog, I did refer to the IRM. I just wanted to summarize my facts so that I can seek an affirmation from you guys that my understanding is correct. - Since my offshore account balance between 2003 and 2010 was less than $50,000, would I pay $500 for each violation and a maximum of $5,000 in penalties across all the years? Income producing real estate should not be included for penalty. Bear in mind though, that if you have unreported income producing real estate, then that might be enough for IRS to use the IRM willful guidelines instead. Also, note, deciding not to join the OVDI program is also a "willful" decision, and in the audit lottery, that might work against you. I don't know your facts, and only a good FBAR knowledgeable Tax Attorney can help you analyse your decision. I would not rely on comments here when deciding to OVDI or not. Your decision could be exactly wrong. You don't buy a used car without paying to have a good mechanic look at it, and I would hate to have you making a much bigger decision that could cost you a whole lot more in the long run. Pay for some advice before Sept 9th, is my opinion. Does even closed accounts need to be listed in FBAR form. Like, lets say you have 2 accounts. You closed 1 and transferred funds to the other or withdrew the amount totally and closed it. So in the form, does both account need to be reported or only one the account which is still active as of Dec 31st. Simple answer is yes. If the closed account was open at any time during the year, you declare it in the FBAR for that year. In Jack's message of August 12, 2011 9:11 AM to someone who got precleared - not sure but let’s assume the Voluntary Disclosure Letter was sent so you receive a letter you are “preliminarily accepted” but then the 2011 package is not sent. Some taxpayers went through the procedure to be preliminarily accepted to make a voluntary disclosure did so after the end of the 2009 OVDP (and before the 2011 OVDI was announced)assuming the IRM 9.5.11.9 would be applied. They feel the penalty under the 2011 OVDI would be higher than if they did not participate. What benefits are there for them to submit the package just to opt out if the risk of criminal prosecution is nil? Isn’t a taxpayer who is preliminarily accepted to make a voluntary disclosure and who does not then submit the 2011 package in the same position as the taxpayer who makes a quiet disclosure if the risk of criminal prosecution is nil? At least the first taxpayer knows that the IRS has not received information from a third party which would render him ineligible for the voluntary disclosure program. I think you would be considered as someone who made a incomplete disclosure. This will put you in auto audit for years mentioned in CI letter. Be prepared with a reasonable cause and if you have other tax issues, amend your returns asap. Under the new OVDI, do you know if FAQ 37 about not counting money twice when transferred from one account to another in calculating the FBAR penalty, also applies if money was used to buy artwork (which also gets a fbar 25% penalty)? I believe it does so long as logically it is the same quantum of asset -- just moved from the account to the art. I have not faced that situation before, but I believe that is what would happen. Example: $100 in account from 1/1/05 to 6/1/05 when $50 is moved out to buy art piece X which, presumably, is worth $50. (Basically, the same as moving from one account to another in which case there would be a reduction to avoid counting twice. Some other reader may have actually faced the situation and will be willing to comment. How does this analysis apply to the smaller accounts < 30000. With unreported income < 2000 per year. It seems you can do better in OVDI penalty of 4000 (+ back taxes +interest + accuracy penalty) than say a 10000 penalty for 5 years/multiple account/joint acount hoders. I am not sure your premises are correct. The OVDI penalty on < 30,000 would be 25% (or later, 27.5%) of the highest amount which, if just less than <30,000 would be over $7,000. But if your point is that the IRS would assert $10,000 per account per year, then unless you have some incredibly bad other facts (say, drug dealing which would disqualify you anyway), the penalty should be significantly less than the OVDI penalty. I don't understand what you mean by joint account holders. 4-5 small accounts totaling less than $75000. In this case the 12.5% OVDI 2011 penalty would apply (Question 53 on OVDI 2011 FAQ). I also read somewhere that in case of joint account holders each account holder may face penalties. So even if $PENALTY_PER_ACCOUNT was less than $1000 the total could end up being equal to or more than OVDI penalty. I am wondering in this case what is the "material risk" of the penalty being more outside OVDI. Also how do legal costs and other "pain" compare inside and outside OVDI. You ask questions that are good questions, but cannot be answered because they require a host of detail that you do not offer. First, in the limited fact set you present, it is unlikely that the IRS on opt out would do multiple nonwillful penalties that exceed the OVDI penalty amount. Unlikely is just a guess based on the limited data set, and the final decision by the IRS will be based on a whole lot more facts than you offer. That is why this blog is a poor medium for reliable advice or information. Material risk is a materiality standard that can only be addressed in the context of all relevant facts. I doubt that your limited data set offers all relevant facts that an attorney would want to know before even attempting to give you advice upon which you can relay. The same is true of your question of legal costs. Sorry I can't help you. I recommend that you talk with a local attorney. If you need the name of one, email me to tell me where you live and I will try to find one whom I can recommend. For non willfull failuer to report casese, Would you consider the Nosiy discloser better than opOut after entering the progrma? You need custom advice of an attorney on this issue. I will offer something for you to think about. If indeed you are nonwillful (I assume you mean for FBAR), then likely you are not subject to the civil fraud penalty and have no material criminal prosecution risk. If those conditions are met, you have two options that may be better than extended OVDI. The options are: (1) quiet disclosure and (ii) go forward and just take the audit risks. I think that, if you will discuss this with a qualified attorney, you may find that there is little strategic benefit of doing a quiet disclosure. But, making the final choice requires consideration of a lot more facts than you offer. I recommend that you discuss the issue with qualified counsel. Thank You Jack, that give me a lot of confidence. In my case its an honest mistake of not knowing. Back in 2007 I inherited around 500K from my Dad (before he passed away) and that money was sitting in a foreign account (india). The interest which I earned, I paid full taxs and filed Taxe returns in India (~22%). Looks like I have "non-willfully" violated FBAR and 3520 filing obligation. In this case shell I opt for Quite discloser? I heard that late filing of 3520 automatically triggers 25% penalty? if it triggers, can I appeal? I think you need an attorney to go over all he facts for you. The Form 3520 penalty adds a layer of complexity because, inside the OVDI program without an opt out, all other applicable penalties are waived / ignored, so long as the 25% (or, if later than OVDI, 27.5%) penalty is paid. But, bottom line, I think you need an attorney to flesh out all the facts and circumstances so that you can make the best decision. If you will email me your city and state, I can return email some attorneys names. Alternatively, you can look on the OVDI attorney page in the upper right column of this blog and locate attorneys near you. Hi Jack, Can i ask of the strategic benefit you are talking with quiet disclosure. Actually i took two legal opinions and both say that my case is too small and one said do quiet and be done, while other said, just do it right prospectively forward and dont do quiet in any case. In some other posts, even you have showed inclination towards going forward vs quiet. I see two benefits to a quiet. First, the Government almost certainly will not prosecute after a good quiet (unless the taxpayer was already identified for audit or criminal investigation). But, in my opinion, if there is a material risk of criminal prosecution, the taxpayer should join OVDI and not consider a quiet. 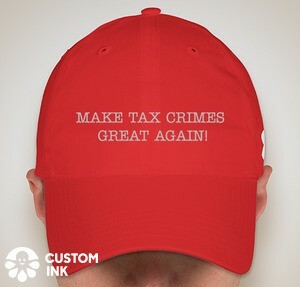 Second, assuming the taxpayer is not at risk of criminal prosecution (which assumes that he is unlikely to draw the civil fraud penalty or unlimited civil statute of limitations), the quiet will qualify for the qualified amended return procedure, thus avoiding all income tax penalties. For most with this profile, careful attention to the risks might justify a go forward which will be successful for most so that there is no cost for the past. Keep in mind that, under our system, there is no obligation to correct past mistakes. There may be good reasons to do so -- particularly if civil or criminal fraud (or willfulness) is involved, but there is no obligation violated by just going forward and doing right into the future. As to the apparently conflicting advice you received from both attorneys, I suggest very equivocally that they are both right. That may sound nonsensical, but each may have developed facts unique to your situation that caused them to recommend alternative approaches. And, of course, different attorneys have different experiences and approaches. "Keep in mind that, under our system, there is no obligation to correct past mistakes." OVDI/OVDP are all about the past mistakes (certainly true for most minnows), I think it would make as fools for entering the program and pay disproportional penalty for past mistakes. Exactly, filing FBAR is mandatory and ovdi is voluntary. Only you would know if you are willful or not. anonymous-k: I had little luck getting max balance and yearly interest amounts from my foreign banks. I had to estimate based on the CDs I had in my possession - has anyone had such dilema? Esp. India? How do you m ake them give such data? How will IRS get this data from them?? Anon - I had to do the annual calculations by myself especially because I have 2 or 3 year certificates of deposit. Indian banks either disclose March 31 or September 30 or in some cases July 1 and Jan 31 interest accrual / payment / deduction of taxes. So you have to calendarize these calculations based on days of year covered by their statements otherwise you wont be able to estimate accurately the max balance and annual interest income. This applies to the FBAR or Form 8938 that you will file this year as well so be prepared because Indian banks are not going to give you calendar based statements and if they do they are probably inaccurate because the US IRS requires OID based calculation for long term CDs. When you sent in the FBAR penalty check, did that include RRSP calculation, or just based on bank balance? I did not include RRSP for in lieu penalty, I did not include any RRSP non-distributed income on 1040X. I assume f8891 election would take care all. I did however sent a big check on non-RRSP in lieu penalty. I even did not send RRSP bank statements when IRS asked me to submit all financial statement reflected in 1040X change. I believe RRSP is irreverent. I have a reason doing this. If they want to me include RRSP as part of tax non-compliance, they will have to send me a letter in writing -- that is they will deny my request for f8891 tax deferral election along with 9100 relief. It is not about enforce paper filing compliance, it is money robbery. And of course, I won't give it up unless a court ruling. I hope you do the same -- there is nothing to fear but the fear itself. Thanks ij for the info. I am still waiting for the Q/A frequent asked questions for 2012 OVDP, which IRS has not updated yet.